Katharine has been Executive Director of the Jefferson Avenue Center since 2003. A native of Washington, D.C., she was educated at Mount Vernon College in Washington and worked in international programming before relocating to Columbus in 1995. Katharine was the Director of Programs and Protocol for the World on Philanthropy, the Director of Programs of the International Women’s Media Foundation. Following over a decade as Executive Director of the German Village Society, Katharine now serves at the Executive Director of the Jefferson Center for Learning and the Arts. Doug has managed the Jefferson facilities since 2010. He is responsible for planning and implementing building operations and services on a campus of properties listed on the National Register of Historic Places. 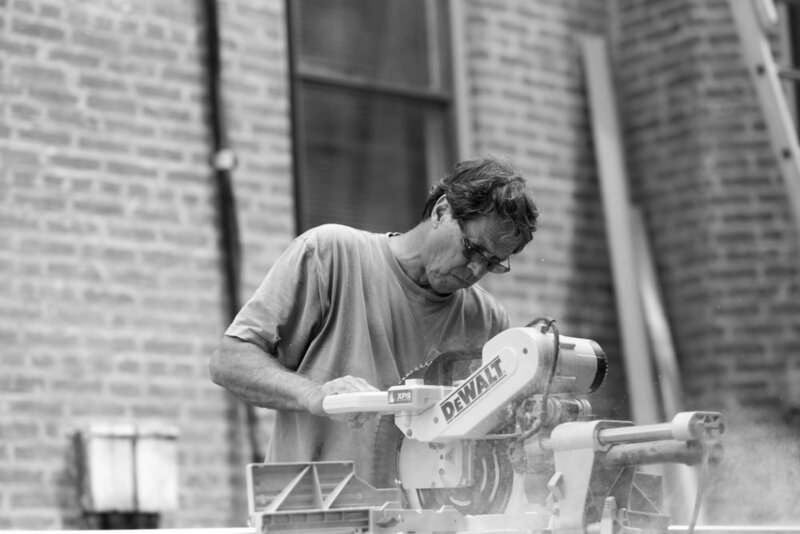 As the proprietor of Wilkins Construction, Doug brings a record of successful preservation and restoration of residential and commercial structures. He produced additions, renovations, and repairs in over 90 projects located in architecturally restricted neighborhoods in Columbus, Ohio over three decades. The Jefferson Avenue Center's properties benefit from the care of a skilled craftsman with competency and expertise in all aspects of historic preservation.